The refrigerator, followed by the freezer, is undoubtedly one of the most important appliances you will ever own. One can’t truly call a house a home of one’s own without this an amenity that can store your foods and keep them at an appropriate temperature. It’s not just a matter of stocking up, but one of health – refrigerators prevent you from getting diseases, all the while providing delicious nourishment at any given moment. That’s why it’s important to make sure everything is in check and that your unit is properly maintained. When a unit breaks down, you can’t simply replace it with just any make or model. It takes time to find the right model to replace your current one. Indeed, there are so many options to consider when searching for a fridge that benefits the particular needs of your household. If you’ve just about had it with undertaking repairs, it could take quite a while to find the perfect one. No doubt, there’s a wide range of brand names on the market from which to choose. And, while they may seem similar, this isn’t always the case. With so many vast differences in mind – from a brand and electrical input, all the way to size and durability – coming to some kind of consensus as to which model you should buy involves a great deal brainstorming. As refrigerator repair experts in Toronto and its surrounding areas, the team at Toronto Refrigeration is here to remind you that not all refrigerators are made alike. If you’re sincerely looking for peace of mind, you can contact our customer service team for more information. In the meantime, if you’re looking for a replacement fridge, here are a few things to remember. You can’t always trust claims to quality and durability – most of the time, this is just the rhetoric of manufacturers that won’t hold up the more you use the fridge. Like any other product on the market, there are certain appliance brands that most consumers typically avoid. While they look great and appear to be high-end – this luxuriousness is simply a matter of appearance when it comes to fridges from Samsung and LG. Indeed, a majority of our repair requests involve products from these brands. When we do receive this high influx of request, it’s often the case that replacement parts are difficult to come by, as they are manufactured overseas. In short, there are brands that should be avoided, lest you shoot yourself in the foot. While usually, some good old-fashioned appliance repair services in Toronto will likely do the trick, if you’re hoping to get a new appliance. 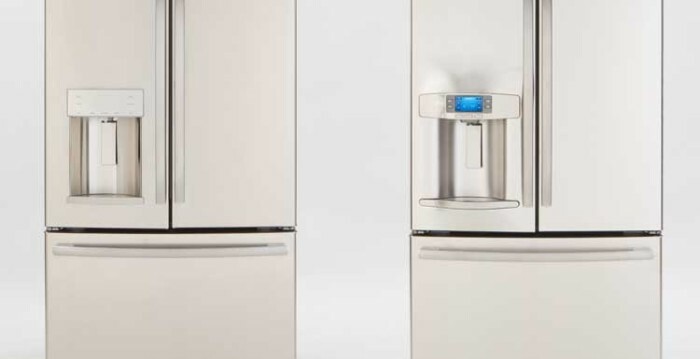 If you’re looking to avoid the fuss of having to replace or repair, without having a backup handy, your best bet is getting a second, perhaps smaller, fridge. There are so many possibilities when it comes to getting a back-up unit. In terms of design, you could with a French door, freezer-less, compact, wine, and drawer fridges are available according to the limits of your budget. Design, efficiency, and capacity are also decisions you’ll have to consider before you invest in a new fridge for your home. Depending on how much food you plan on having at a given time, you’ll need to account for the organizational capacities of your new model. Once you find the right one, be sure to contact one of our expert appliance repair technicians to set you up with a regular maintenance plan. With frequent maintenance appointments, our technicians can keep your new fridge running like new for as long as possible. In any case, you can call us for help anytime – whether you want advice on purchasing a beautiful new fridge, or you’re looking to repair you’re old one, we’ve got your back. You’ll have peace of mind and a fully-functioning home in no time at all with our speedy specialists on your side. As we’re available 24 hours, 7 days a week, our certified technicians are also available at any time should you encounter a refrigerator emergency.